Adventures in the waning days of the Empire! All a chap needed was pluck, a stiff upper lip and a well oiled Webley revolver! 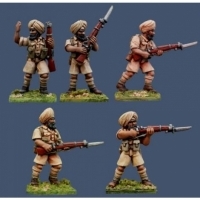 The Set contains 5 riflemen in different poses. 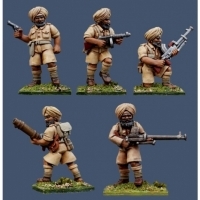 28mm sized metal figures, s..
An officer, a tommygun, a vickers-berthier mg, a lewis gun and a boys anti-tan.. 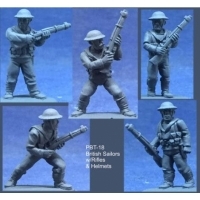 The Set contains 6 rifleman, same advancing pose. 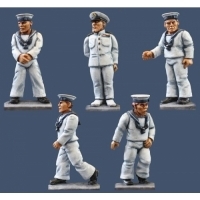 28mm sized metal figures,..
An Officer and sailors in standard Royal Navy uniforms, oriented towards the t.. 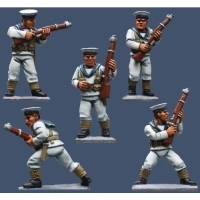 The Set contains 5 sailors ready for some landing party action. 28mm sized .. Perfect as Commonwealth sailors for WW2 as well as the interwar period. 28m..
Devotees of the Goddess Kali, these fellows use a sacred yellow silk cloth to ..
A selection of weapons is included here, among them the sacred burial pick of .. 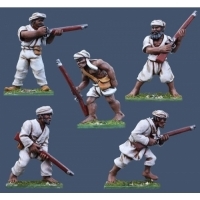 The Set contains 5 figures equipped with antiquated muzzle loading muskets. .. 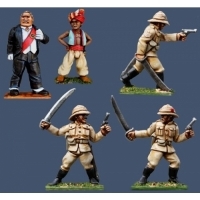 The Set contains 5 figures armed with Martini-Henry rifles. 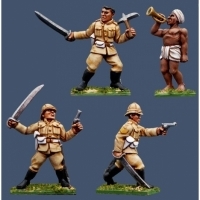 28mm sized meta..
Leader of the Thuggee cult, the Mad Guru stands before the shrine of Kali with..
Cuttar, McChesney, Ballantyne and Din, heroes of the Northwest Frontier. 28.. 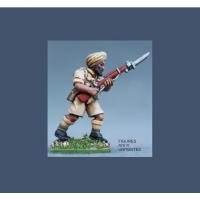 The Sergeants wear wolseley helmets and come with the British Ambassador and Y..